Why Choose Redman Garage Doors? We work with architects to deliver the sophisticated look and feel that you dream of for your home. It’s our goal on every custom garage door to exceed your expectations. With over 40 years of experience, we are the trusted leaders in the industry. Jim Redman, owner of Redman Garage Doors literally “wrote the book”, authoring the training manual that is used throughout the industry today for new garage door installers. We use only the highest quality materials, parts and components for our custom garage doors and garage door repairs. All our products carry manufacturer warranties, and we put a guarantee on every job we do. Anybody can quote you a low price over the phone; however, when we give you a quote you can rest assured that it is complete and there will be no hidden costs. 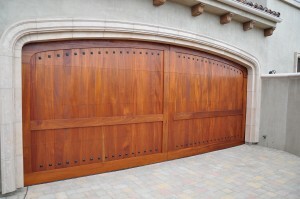 No one in Ventura County provides better value than Redman Garage Doors. Ask any of our customers, and they’ll tell you how much they love their Custom Garage Door from Redman Garage Doors. Don’t take our word for it though, read some of our customer’s reviews!